If there’s one genre I typically avoid, it’s shooters. Very rarely do I play any FPS or team shooter games, simply because they are often boring, lack creativity and fail to hook me. But there are some that I’ve enjoyed, and it’s usually the odd ones, such as Dementium and Dementium 2, Moon, Dead Space Extraction, House of the Dead Overkill and the Resident Evil rail shooters, the Umbrella and Darkside Chronicles. Nevertheless, since I was already at the Trion Worlds booth checking out Trove Geode, I figured it couldn’t hurt to see what Defiance 2050 was all about. 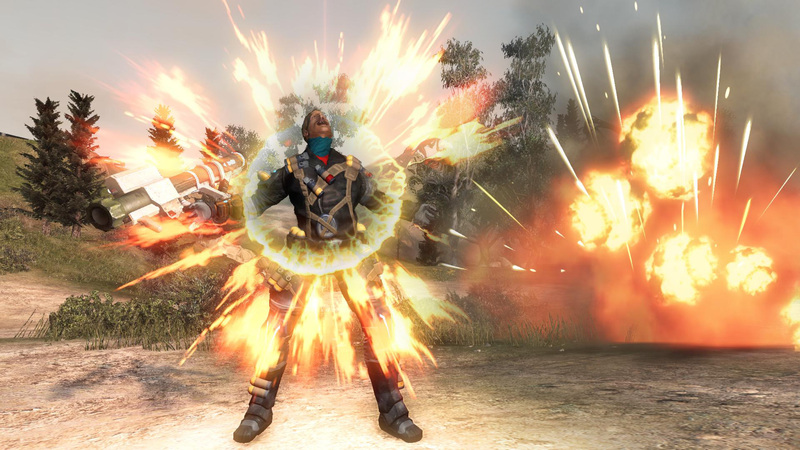 One thing I discovered is that Defiance 2050 is actually an overhauled update of the original game, which was released in 2013. Besides better graphics and more optimization, 2050 also adds some new content, such as a class system which provide unique abilities and perks. You are also encouraged to craft and upgrade a whole host of weapons, including many from scavenged alien technology. There’s a ton of ways to customize your experience, and though it can feel overwhelming, it’s organized in an intuitive and meaningful way. When I played, the devs helped me create a character with the Assault class and the abilities I felt would help, such as reloading my weapon automatically when I dodge rolled, or a healing syringe in my neck when I was badly wounded. 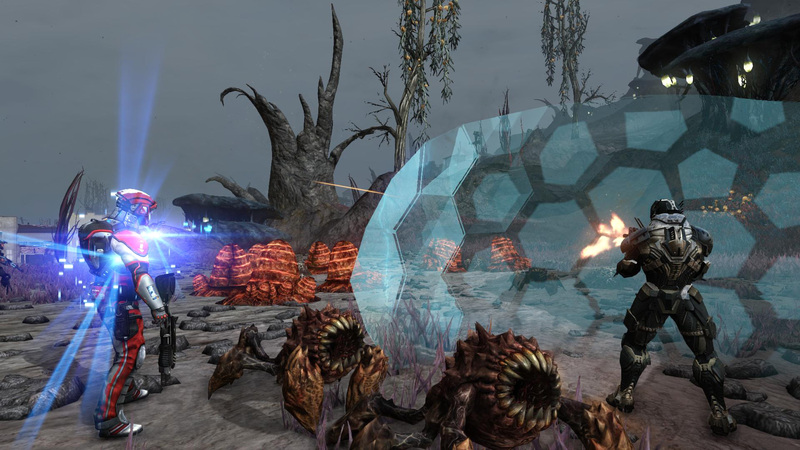 I understand that the world of Defiance 2050 is one ravaged by an alien invasion, and it’s both beautiful and eerie in equal measure. Despite not being adept at the shooter genre, I was impressed by how intuitive the controls were after a bit of practice. Even better, the cooldown for abilities wasn’t prohibitive at all, which made it much more fun to run about shooting alien scum. This was further improved by how killing foes immediately reset any of my cooldowns, getting me ready to rumble again. 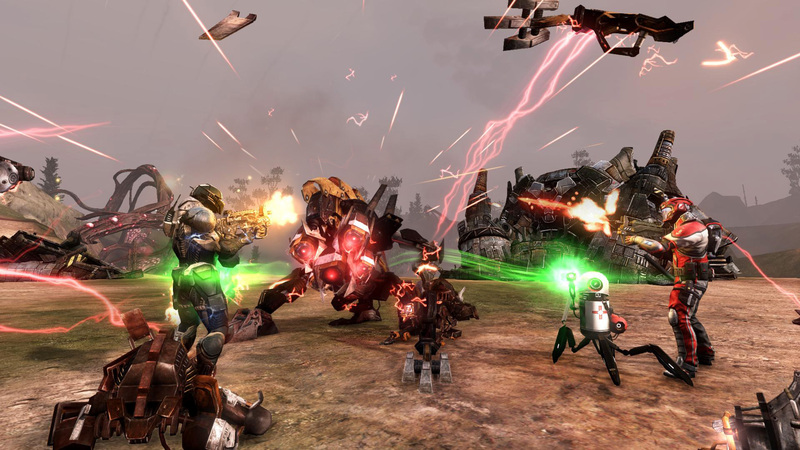 Aesthetically the game reminds me of a mix of Mad Max and War of the Worlds, with alien abominations upsetting the natural order and lots of creatures, troops and cyborg threats. The boss I fought really reminded me of the villain from Mad Max: Fury Road, the demented Immortan Joe, and I liked the strategy of using his own flamethrower wielding goons to disable his powerful force field. After doing enough damage, I fought the boss up close and personal, dodging and shooting with my assault rifle and shotgun to finally take him down. There was a lot of strategy even with this build of the game, and that makes the elements I typically dislike about the genre fade into non issues. I’m shocked this is a free to play game, as it seems as professional and well made as many AAA games. But I’m more shocked by how much I enjoyed playing it. 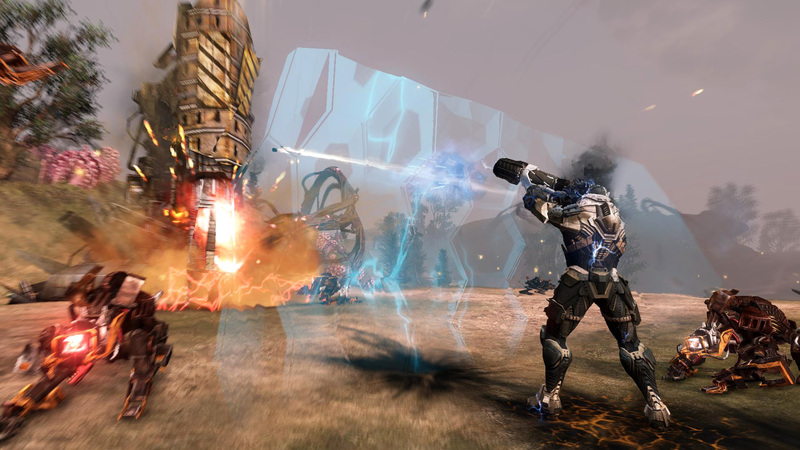 Trion Worlds may have a winner here, and I recommend those interested in unique sci-fi tales and who enjoy playing free games to check out Defiance 2050. It’s launching on July 10th for PC, XBox One and PlayStation 4. If it could convince me, it can convince even the hardest hearts to give it a try.